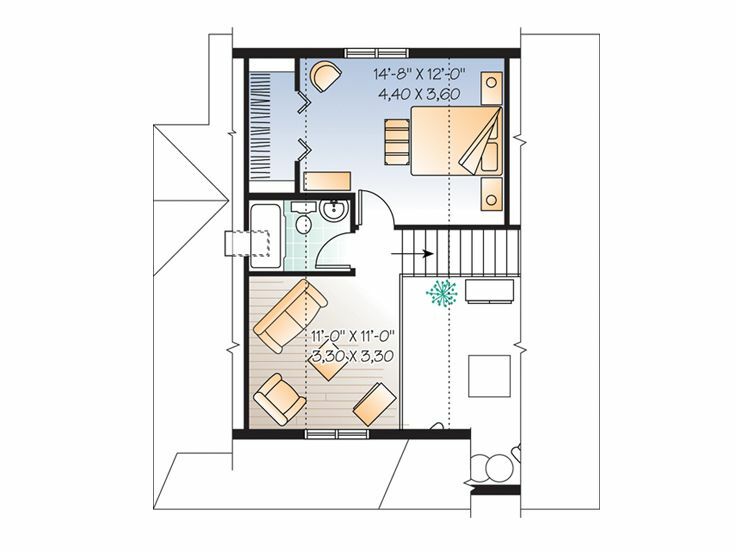 First Floor 783 sq. 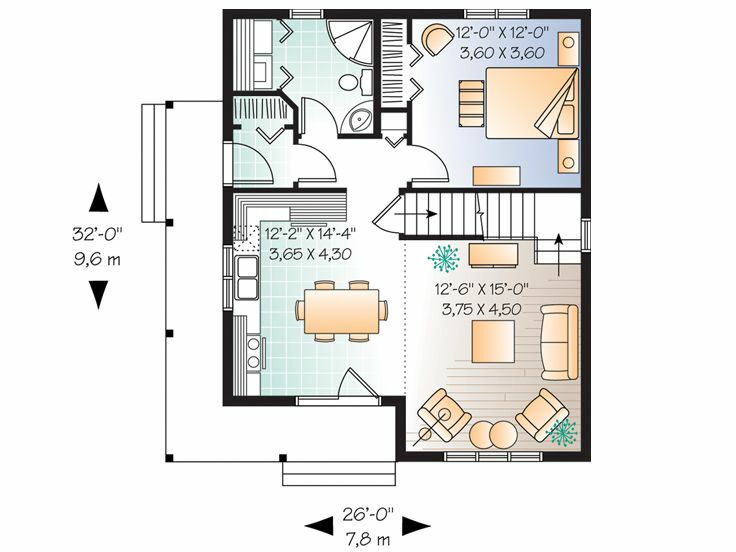 ft.
Second Floor 443 sq. ft.
Approx. Height 25 ft. 10 in. Looking for a weekend getaway for the family or a comfortable place to stay for a fishing trip with your buddies? 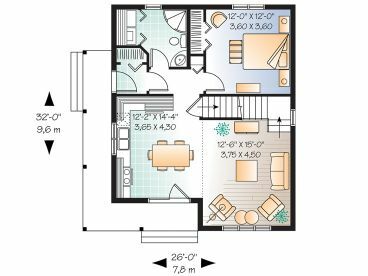 This small and affordable vacation home plan may be just what you are looking for. A covered wraparound porch is perfect for relaxing in a rocking chair and soaking up nature. Inside, modest accommodation delivers the comforts of home. An open floor plan arranges the living areas on the main level providing flexible space for a variety of activities and socialization. 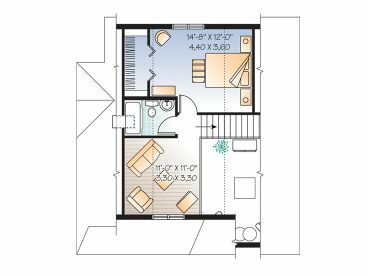 A bedroom and full bath with laundry facilities tucked inside complete the first floor. Another bedroom indulges in the privacy of the second floor with a full bath nearby. The loft offers a cozy sitting area, also perfect for a sleeping area. 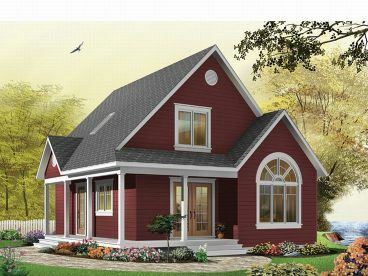 Charming and budget conscious, this two-story vacation home plan affords a comfortable home away from home.